Vietnamese food is very hot and trendy, and no wonder why since it offers a delicious variety of tastings. From salty, sweet, sour & hot flavors, the food combinations are endless! Our Night Food Adventure is a combination of a sightseeing ride through many districts of the city and a delicious mix of local dishes – full dinner, step into a food paradise in Ho Chi Minh City. Giving your hotel name & address when booking the Motorbike Food Tour with Saigon Kiss means that your expert riders will show up at 5:30 PM at your place to start this tasty journey. And don’t be disappointed when we say that no boy driver for you as we are a 100% female drivers, #GirlPower team. 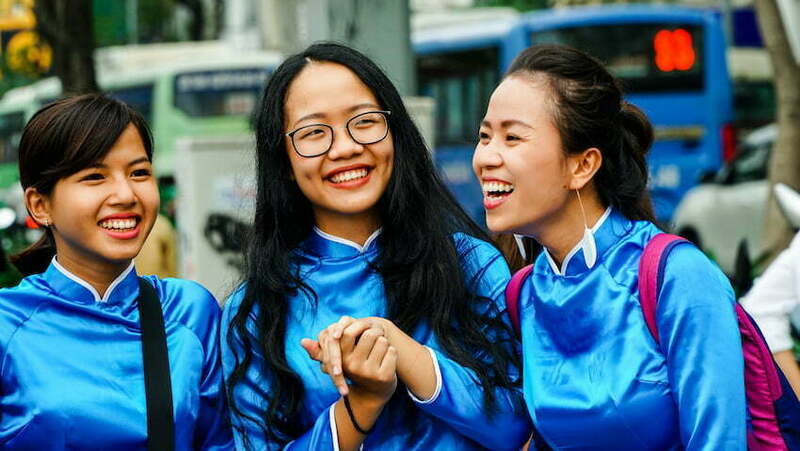 Here we take pride in empowering women, teaching local girls to represent the bright image of the country young generation, be the cultural ambassadors, and of course, you will see that we are experts in navigating the traffic of Saigon. What old customers said about Saigon Kiss Tours? Ana has been an amazing guide and she was very knowledgeable about everything! She made me feel at ease and I am very happy to have gotten a chance to meet her on this epic adventure! This tour was one of our favorite things we did in Saigon! We booked the night food & sightseeing tour, but there are a few different types of tours so make sure you choose the one that fits your experience. The guides will also tailor it to exactly what you are looking for, so talk to them before you start the tour as they have options. It was an awesome way to taste some local street food and see some sights, including a local secret spot. We also wanted to experience the crazy traffic on a scooter but hesitated to rent one even though my friend and I both ride motorcycles in the states, so this tour was a perfect way to do this. 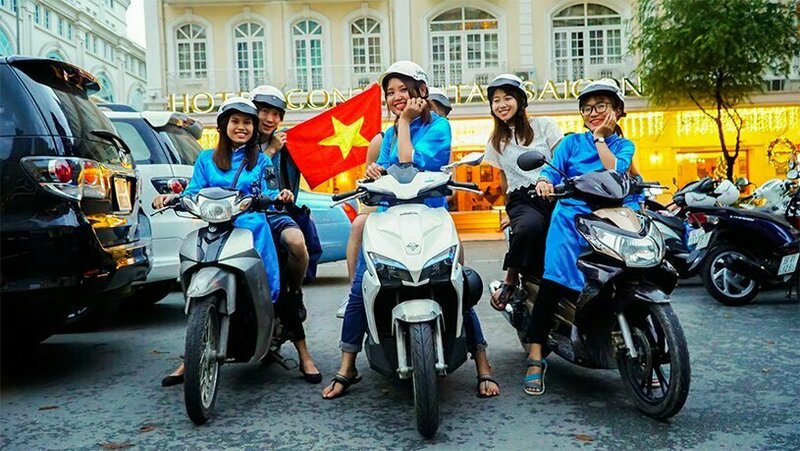 Ana & Kieu were awesome guides with excellent driving skills so we felt very safe on the back of the motorbike and they spoke fluent English which made it easy to have a conversation, ask questions about Vietnam, the people and culture. The girls were very knowledgable and we enjoyed talking to them about many things, including their lives and future goals, so we felt like we made friends with a couple locals and wish them the best. We loved that this is an all girl company to promote women and give them opportunities to help them be successful. We highly recommend this tour for many reasons! My husband and I fortunately to the advise of fellow travelers who recommended this tour to us, we fitted in on our last night in Ho Chi Minh city, and we got to see more and experience more in that 1 evening than perhaps the whole week. Jackie and Min were cheeky lovable funny girls, with just the right amount of commentary! We really enjoyed the food experiences and sharing with the locals and the crazy motorbike ride through some of the busiest streets in the world, the girls were very careful and adapt at riding. They were quick to enjoy a genuine laugh and we shared many hilarious moments! thank you Jackie and Min you made our last night in your beautiful country memorable, also they took many photos which were in our email box when we got home, added service. I booked a tour on the recommendation of a friend, and I’m so glad I did because out of a three week honeymoon to Thailand and Vietnam the Saigon Kiss Tours was one of the highlights of our entire trip! The food was incredible, varied, and you essentially get a full meal at each stop. They timed it perfectly by giving us just enough room between locations to work up a renewed appetite (and the tour as a whole was well organized). If your travel is driven by a desire to explore a place through its’ food this tour is definitely worthwhile for you, but what really stood out for me was the opportunity to speak with the women who give the tours and get a more intimate experience in local spots. The women were super friendly, engaging, genuine, and spoke excellent English. They took pictures of us to help document our experience and emailed them to me after, asked questions and planned in such a way as to meet our preferences and needs, and were excellent drivers (I never felt nervous or unsafe whatsoever). As a tourist who doesn’t speak the local language, I know I am only scratching the surface of the place I am trying to get to know when I travel, and exchanging questions about each other’s home countries and learning about Vietnam from their perspectives let me deepen my understanding so much more. HIGHLY recommend! David, our daughter Maria, our grandson Hunter and I had an amazing time with our Saigon Kiss Tours girls. We experienced life in Saigon, ate food we will never forget and enjoyed the fun and hospitality of our truely memorable friends and attractions. All this on the back of a motor cycle where we were perfectly safe. We paid in US dollar after they send us back to our hotel, I love how they give choices for customers to pay in advance or pay later. If you want a genuine and real experience you must do this. Thanks again. Love from Karen. This Motorbike Food Tour takes you out of the city center and covers different districts of the city. We don’t go to the places that you can easily access but go to the local areas and taste the most authentic dishes instead. In total, you will zip through the streets of Saigon on back of the bikes and visit 3 local restaurants and one stop on the other side of the river for an amazing view. #7: Dog meat… Oops, just kidding. We love animals! Pets are to be loved. Above is the food menu we design with love, but it can also be customized if you tell us your preferences. If you are vegan or traveling with dietary restrictions like no dairy, gluten-free or allergic to shellfish, you are good in our hands. All you do is let us know when booking. Below is the Night Foodie Adventure Saigon Kiss Girls did with a New Zealand family. We’re proud, yet humble to accompany solo, couple and family travelers from all over the world since we were founded. Our guests are Millennials, Gen X and Baby Boomers. Unlike the other tour operators, here our tours are mostly private or in a small group as we treasure the sincere connection between the local guides and travelers. Click “play” button below to see how your tour will be like. Unlimited Food & Beverages & Lots of fun. You control the game with choices to pay in advance or pay in cash later after the tour finishes. The price is all-inclusive which means that you have your private English speaking drivers, motorbikes, helmets and an unlimited food treat and don’t pay for anything else. Booking early is advised but we still accept last minute booking for 1 -7 persons if we still have spots. Just let us know so that we can arrange the drivers instantly and they will show up in front of your hotel at 5:30 PM on the tour date. Departure time can be customized if you want to do the Saigon Food Tour in the daytime too. Our highly requested food tour is the motorbike food tour but if you want to do it with car and walking, it’s possible too. Having limited time in Ho Chi Minh but want to get the most experience of food & culture? Doing both the Night Food Adventure & the Half Day City Tour will help you maximize the experience. It can be done on the same day or different days. For the second booking with us, you will get 10% off for the next tours. Pls iMessage/WhatsApp/Viber/Kakao +84901006844 or simply click the book button to reserve your spots. Life can be unpredictable and we understand that sometimes it’s necessary to change or delay your travel plans. 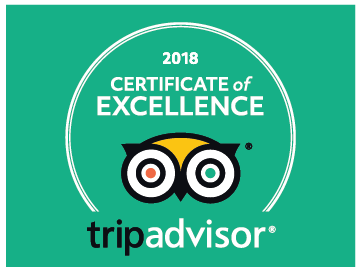 With our hassle-free booking guarantee, you can book our tours safe in the knowledge that if you’re unable to travel, cancellation is totally free which give you absolute confidence when booking.